COMING ON HOLIDAY - DON'T FORGET YOUR CASE..
Do you hate waiting to start your holiday..? Do you hate getting on a coach with lots of other holiday makers..? Are you always the last to be dropped off..? Well with Cru Transfers you no longer have that problem. Just book our services and tell us how many of you there is and we will price you for the correct vehicle. We have cars, minivans and coaches, so can transport a small family right through to a large group. We will be there waiting for you to arrive. We will then drive you to your hotel or apartment that you are staying in, then if we are taking you back to the airport when your holiday is over, we will again be waiting to collect you to once again drive you back to the airport. 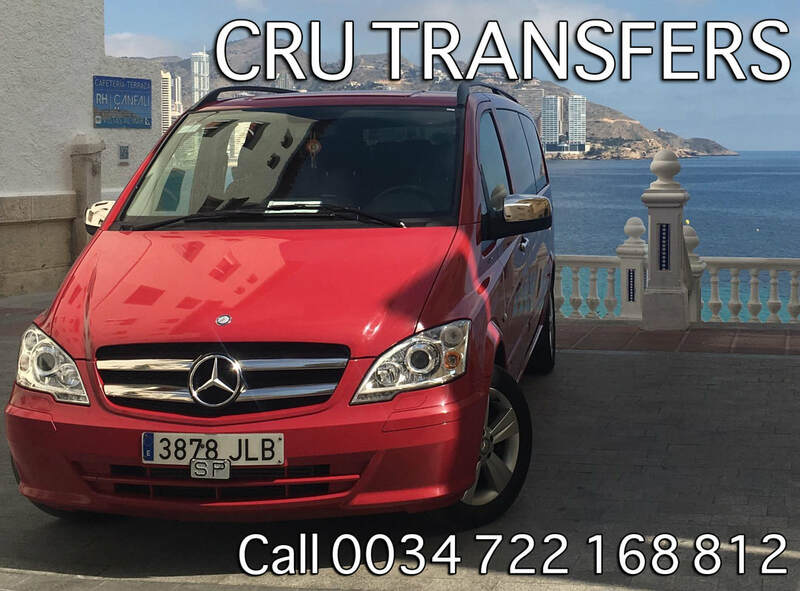 So if you require a Private Transfer, please just give us a call or message us your details. ​Thank you and have a great day.